Around the World in Eighty Books | In which I read and reflect on eighty books from around the world. In which I read and reflect on eighty books from around the world. Look at that sweet face. Isn’t Sr. Márquez just the best?? There are several reasons why it was hard for me to get into this book. I think I would have understood it better if I had had more time and energy to analyze the complex motifs, and if I had not been so preoccupied with other thoughts (this week was especially stressful for me, for various reasons). I definitely understand why it won Márquez a Nobel Prize; his challenges to society’s perceptions of love are quite astute. However, it was hard for me to really identify with most of the characters, which made it difficult for me to enjoy the story, even as I appreciated his skill at story-telling and social critique. Márquez does an excellent job of complicating different misconceptions of love. These range from perfect love, as in Fermina’s marriage to Dr. Juvenal Urbino, to depraved love, as in Ariza’s sexual relationship with his fourteen year old charge, América Vicuña. The love between Fermina and Dr. Urbino is perceived by society as perfect, but it is actually marred by infidelity and stubborn pride, so that neither of them know how to compromise or resolve an argument. In fact, Fermina continues to berate her husband for his betrayal even after he dies. Meanwhile, Ariza is plagued not by his incestuous relationship with América but by the fear that society, and especially Fermina, might discover their love. And when Ariza ends their affair, he does not suspect that América would become so depressed that she kills herself, rather he is only thinking about his pursuit of Fermina. While Ariza is depraved for beginning the relationship with this young woman in the first place, he is selfish for ending the relationship so abruptly without considering her feelings. There are times when I want characters to do something that defies the story that the author is trying to tell, and this is definitely one of those times. I loathe Ariza, and I wanted him to be out of the picture entirely, but instead he stuck around, pining pitifully for Fermina, even when she eventually married and made her own life without him. Fermina and Ariza eventually become lovers in their seventies after her husband dies. I think I understand why she chooses him (nostalgia, compassion, loneliness) but she could do better, and it bothers me that they end up together. 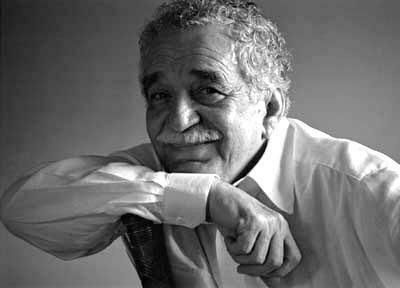 Márquez seems to be saying that finding new love in one’s “golden years” should not be so reviled as it is by society. If you, dear reader, have any idea what else he is suggesting with this ending, please let me know. Wikipedia has not yet sated my desire to understand this book. According to the Wikipedia page on Love in the Time of Cholera, the title has double meanings. The story does take place during a severe cholera epidemic in Colombia and other parts of the Caribbean. However, the term for cholera in Spanish, cólera, can also mean hatred or ire, which refers both to Ariza’s anger with Fermina’s marriage and the civil wars and societal upheaval that provide the setting for this story. I’ve read three books for this blog so far from Latin America, admittedly a very small sample, but nevertheless I’m intrigued that I picked three stories focused on themes of romantic love, set amid turbulent times of bloody conflict. This post is my homage to the father of magical realism, and I intend to read many more stories that follow a similar style. P.S. I’ve been trying to update every Wednesday, but this post has been a little late. I appreciate your patience, dear reader. I will try to get another one up next Wednesday about The Alchemist by Paolo Coelho. Where do I begin? This novel sucked me in and did not let go until I finished it. It was hard not to read it riding the escalator, walking to work, even crossing the street. (Only my fear of being run over stopped me there.) The story is written in a perfect blend of English and Dominican Spanish. I know very little Spanish, and even less about the Dominican Republic, and I was still able to really enjoy this book (even if there were references and jokes I missed). Díaz weaves together many stories, of individuals, their families, a nation and the hardships, the curses they endure. The different narratives, told from alternating perspectives, come together to strengthen rather than muddle the story. As the title indicates, the main story line follows the life of Oscar, an obese, unhappy Dominican-American nerd from New Jersey. The story alternates between the DR and Dominican communities in New Jersey. Díaz paints a rich family history of the de León and Cabral families as if his novel were instead a historiography. (Wao is just a cruel nickname, from “Oscar Wilde” mispronounced). The main actors in Oscar’s life also tell their life stories: there are several chapters from the perspective of his sister, Lola and his abuela, La Inca. The narrator, Oscar’s best friend Yunior, frequently breaks the fourth wall, addressing the reader directly via footnotes, some of which are actually my favorite parts of this book. These footnotes are long and detailed, often darkly funny or bitingly sarcastic, describing important cultural and historical background for readers unfamiliar with the DR. For example, when explaining to the reader that the pejorative pariguϋayo came about during the First American Occupation of the DR (1916-1924), Díaz quips, “You didn’t know we were occupied twice in the twentieth century? Don’t worry, when you have kids they won’t know the U.S. occupied Iraq either” (Díaz 35). Díaz is in turns critical (toward those who are cruel and misuse power, especially Trujillo and his minions but also the US government) and compassionate (toward his characters, and by extension the people of the DR and Diaspora. However, I should note that he does not let anyone off the hook, so to speak; he is also critical of el pueblo, but in ways that account for the complexities of life in the DR.
Oscar himself is a fan of “genres”, pretty much anything fantasy or sci-fi, which combined with his affinity for using big words, his size, and his shy awkwardness make for a really hard life. I love the author’s frequent and detailed references to various comic books, movies, and video games from the genre. He has a knack for capturing the tortured soul. According to his Wikipedia page (my favorite source, in case you haven’t noticed, dear reader), Díaz has said, “Oscar was a composite of all the nerds that I grew up with who didn’t have that special reservoir of masculine privilege. Oscar was who I would have been if it had not been for my father or my brother or my own willingness to fight or my own inability to fit into any category easily.” (Wikipedia). Like all great books, The Brief Wondrous Life of Oscar Wao challenges you to think about the real problems that people face. It’s tough on the heart, everywhere there is suffering and cruelty and bad luck, both fictional and real, but it is definitely worth the heartbreak. By making me feel for his characters, Díaz has made me feel for his people. Stir ingredients together well over high heat, until concoction comes to a roaring boil. Continuing stirring for 241 pages. You can read immediately or wait as long as you wish, since it will never spoil with age. Above is my version of the “recipe” that Laura Esquivel might have used to create this lovely tale, modeled after the recipes that she describes throughout this book. I have a wise librarian to thank for this particular gem of a novel. When I told her I was looking for books by influential Mexican authors, she immediately directed me to Laura Esquivel’s Like Water for Chocolate. This novel covers the beginning of feminism in Mexico and the Mexican Revolution by depicting the life and struggles of one controlling, traditional widow and her three daughters (Wikipedia). The characters can be interpreted as allegories, with Tita representing the new ideas fighting for dominance during the Mexican Revolution, including women’s rights, and her mother representing the old, traditional ways. I have been very interested in finding authors who employ magical realism to tell their stories, so I was naturally drawn to Esquivel. (You may see a fair number of magical realist stories in this blog; for example, I am currently searching for House of the Spirits by Isabel Allende so that I can read it for my entry about Peru). The story is divided into twelve chapters, one for each month of the year, with a recipe at the beginning of each that is fully incorporated into life of the main character, Tita de la Garza. 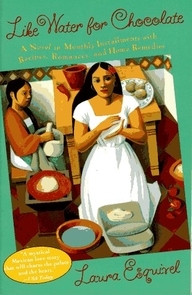 This story is a richly sensual experience, with authentic, mouth-watering Mexican dishes prepared at the beginning of each chapter that often provoke strong emotional reactions – such as passion, heartache, or rage – when eaten by the characters in the story. During these experiences, the author incorporates magical elements as natural occurrences. For example, after one meal, Tita’s sister Gertrudis runs naked out of the shower because she is so aroused that the water droplets melt when they touch her skin and cause the wooden shower enclosure to burst into flames (Esquivel 50). I deeply empathize with Tita, who is forbidden from marrying the love of her life, Pedro, by her cold, authoritarian mother. Her sweet, nurturing nature and constant struggle to reconcile filial duty with romantic love makes the reader hurt for her as she experiences heartbreak time and again. I really like the title of this novel because it fits so perfectly. The title is the English translation of the saying in Spanish, Como aqua para chocolate, which refers to the boiling water used to make hot chocolate. The saying is a simile for describing strong emotions, usually sexual passion or anger (Wikipedia). Next week: The Brief, Wondrous Life of Oscar Wao by Junot Diaz. See you then! I initially chose to read The Spirit Catches You and You Fall Down by Anne Fadiman simply for pleasure, but then I realized that it would be a perfect second entry for this blog. Although the author is American, the book addresses many multi-cultural issues, namely the interactions – and especially miscommunications – between Hmong immigrants in the US and their American doctors. Fadiman’s book is a self-described “fish soup”, a non-fiction account that weaves many different perspectives and timelines together into a cohesive, complex narrative, which allows her to capture more truth than if she’d used a more traditional style of reporting. I really admire Fadiman’s dedication to her project and impressive lack of ethnocentrism. The book is tied together around the case of Lia Lee, an American-born Hmong girl with severe epilepsy. Fadiman interviews doctors, social workers, anthropologists, and pyschotherapists as well as the Lee nuclear family, their extended family members, clansmen, and many prominent members of the vibrant Hmong community in Merced, California in order to understand her story and put her family’s perspective in context. Through the retelling of fables, anecdotes, case studies, and historical accounts, she also provides exquisite context for understanding Hmong history and culture, as well as the culture of biomedicine in the US (Fadiman 273). Fadiman doesn’t dwell overly on distinguishing right vs. wrong, nor does she slip into cultural relativism. Instead, the focus of her book is cultural (mis)communication. More specifically, she explains how each side’s misconceptions and biases, as well as their shared language barrier, contribute to a mutual lack of trust and poor doctor-patient relationships (and therefore poor medical care). She also makes great effort to explain many of the parables, traditions, and beliefs of this Hmong community, which really bring the story to life. To my knowledge, hers is the most well-known book in the US today about the Hmong. Cultural understanding requires cultural brokers, third parties who understand the languages and cultures of the involved parties (in this case the American doctors and Lia’s family) and can ease understanding and communication between them. And to crudely paraphrase what Fadiman states more eloquently, cultural brokers must be treated as equals instead of as mere word-for-word translators. They must even have the power to give commands, in order to get one party to do something which the other party may not know how to ask for. For example, Fadiman cites a case in which a Hmong husband wouldn’t let his pregnant wife take the pills prescribed to her by her doctor (264). Her doctor’s interpreter acted as a cultural broker by correcting the doctor’s breaches of Hmong etiquette (ex. by having her talk to the husband instead of his wife, and by having the doctor wish him good health and happiness before addressing medical issues). This relaxed the patient and her husband and helped her gain their trust, and as a result the pregnant woman took her pills. – Should parents (or legal guardians) have the right to deny medical care to their children? According to Fadiman, when a consenting adult declines medical care of some kind, most doctors may grumble but readily accept the autonomy of an individual and the right for an individual to refuse medical care. However, most become incensed when a child, too young to make decisions for herself, is denied access to modern American medical care when it could save her life. You can martyr yourself, but you can’t martyr your child (80). – Should doctors tailor their treatment methods to fit better with their patients’ cultural backgrounds? As Fadiman herself asks, “Which would have been more discriminatory, to deprive Lia of the optimal care that another child would have received, or to fail to tailor her treatment in such a way that her family would be most likely to comply with it?” (78). – How should doctors address their patients’ needs if there are no resources available to understand a patient’s cultural background (e.x. because of a lack of interpreters or cultural brokers)? This book should be required reading for anyone who wants to learn about Hmong, lives near Hmong communities, or wants to work in medicine or child protection services. Although to be perfectly honest, I think everyone should read this book. I feel obliged to issue a tissue alert for Lia’s story, to say nothing of the wartime recollections of Hmong who fought for the US in Laos. Were it not for the fact that I read most of it in a public setting (i.e. on the Metro) I would surely have cried many times. The first stop on my adventure is the short story “The Man in the Black Suit” by famous American horror writer, Stephen King. I am not very familiar with King’s work, but I really like this story. According to the Wikipedia entry on this story, “The Man in the Black Suit” won King an O. Henry Award for Best Short Fiction in 1996. And I can see why, since this is a fantastic story. As one who loves linguistics and word humor, I appreciate that King creates words like “troutiest” (407) and “gaggy” (413) because that is exactly how nine-year-olds think, and it makes for better reading. The dialogue is very believable all-around, including one exchange in which Gary’s mother corrects his grammar. Story summary to follow. *SPOILER ALERT* You have been warned! This macabre tales begins as a reflection told by Gary in his old age as he recounts an episode that happened in his youth. Gary recounts a fishing expedition one day in which he catches several fish before he falls asleep. When he awakens, he is frightened to discover a bee perched on his nose, primarily because his brother Dan recently died of a bee sting. Suddenly he hears a loud clap and the bee falls dead into his lap. Gary turns to see the terrifying figure who clapped to kill the bee, a man dressed in a long black suit with flaming pits where his eyes should be. Gary is immobilized with fear as the figure, whom he intuits to be the Devil, approaches him. The Devil tries to convince him that his mother just died from a bee sting, so therefore Gary should allow the Devil to eat him and end his misery. Gary offers the Devil one of the gutted fish that he caught before he runs away, and the Devil gives chase. The Devil disappears after a long chase and Gary finds his father, who returns to the stream with Gary to collect his fishing gear and assure him that his mother is alive and well. The reflection ends, and the present Gary reflects that he lived a normal, happy life despite this incident, although now at death’s door he begins to fear once more a meeting with the Devil. I chose this story because I am intrigued by how the terrorizing and calming aspects balance each other in interesting ways. The ending maintains the fear built up through the story, but also illustrates Gary’s struggle against his fear, which was successful in that he lived a long, fruitful life. I am not frightened easily, but while reading this alone at night in my room, I jumped when the phone rang. I was also tempted to choose this story because its creepy, morbid tone is so perfect for a Halloween posting. King was heavily influenced by H. P. Lovecraft and Nathaniel Hawthorne. King is said to have named Hawthorne’s story “Young Goodman Brown” as the direct inspiration for “The Man in the Black Suit” (Wikipedia). But unlike Lovecraft and Hawthorne, King paints a more redemptive vision of mankind overcoming evil. [i] In King’s story, Gary’s parents are there to protect him, to scare away the Devil. I appreciate that King contrasts suffering caused by evil versus more natural causes, ex. the bee that kills Dan. Also, it’s worth noting that the Devil kills the bee on Gary’s nose. I think King does this to make a clear distinction between the pure evil of the Devil and natural harm, an interesting juxtaposition between man and nature. The bee that killed Dan acted out of instinct and didn’t realize what it was doing, but the Devil is evil for putting Gary through intentional suffering (something which neither plant nor animal nor mineral, but only mankind can do). Just before he meets the Devil, Gary says “If I had accepted this as gift enough for one day and gone back, I would not be writing now,” but he didn’t, and so he meets the devil (409). This statement sets a suspenseful mood for the reader, who has no idea what dangers will soon arise, and says a lot about the author’s belief in the nature of good and evil. The author and narrator both view Gary’s meeting the Devil as blind luck, just like the bee sting. Gary does not meet the Devil as punishment, nor as a cog in a machine, but rather through random chance. And while meeting the Devil was bad luck, escaping from him was good luck. At the end of the story, the author reaffirms this position through Gary’s reflection that as the years pass, ”I feel more and more strongly that escaping him was my luck – just luck, and not the intercession of the God I have worshipped and sung hymns to all my life” (423). Yet King’s portrayal of loving, kind parents who take an active role in protecting Gary – such as when his father takes him to see his mother and face his fears – suggest that perhaps mankind is not always victim to pure luck. King seems to suggest that good people can and will protect the innocent (i.e. children), and more broadly that good will triumph over evil. [i] King, Stephen. “The Man in the Black Suit.” Telling Stories: An Anthology For Writers. Ed. Joyce Carol Oates. New York: W. W. Norton & Company, 1998. 387, 388, 405-423. Hello! Let me introduce myself. I write under the name Liana Pentandra, and this is the first post in my new blog. Welcome! What shall I blog about? I intend to read eighty books from around the world and blog about one per week. How did I come up with this idea for a blog? I was on the Metro coming home from work, which is enjoyable but does include many opportunities for writing, when after a series of daydreams the thought popped into my head (it made that sound too – pop!) that I would like to read books from around the world and write about them. I have been thinking for a long time of something to blog about, and this naturally combines my desire to learn more about other cultures with my passion for reading and writing. At first, I wasn’t sure how to choose the books I’d write about. But then I came up with the name for this blog, with the intention of first reading the original, Around the World in 80 Days by Jules Verne, to see what I was getting into. This whimsical novel charts the course of one Brit, Phileas Fogg, who bets his whist buddies that he can traverse the entire Earth in just eighty days, and SPOILER ALERT………… he does it! Amazing! The book was written and takes place in the late 1800s, so if you keep the imperialistic attitudes and odd turns of phrase in perspective with the time period, it is nevertheless a charming story about one man’s fortitude in the face of seemingly insurmountable obstacles. I like to think that I am beginning a similar journey, though literary in nature. I am wont to read just about anything, but I have a particular taste for fiction, which is primarily what I’ll be blogging about. I’m willing to do extra research into an author or country when necessary, but I will mostly just write about one book at a time. Don’t expect some New York Times book review type deal, this is more like a casual book club discussion among friends. I encourage reader comments and feedback! Don’t let me be the only member of this book club who’s talking. I aim to read eighty books from approximately eighty different countries. However, they will not all be full books (i.e. my first reflection will be about a short story). I hope to hit all the countries that Verne mentions in his book, and I will let you know as I get to them which ones they are. Just as Fogg begins his journey from home, which for him was England, I will start with a story by an American author. 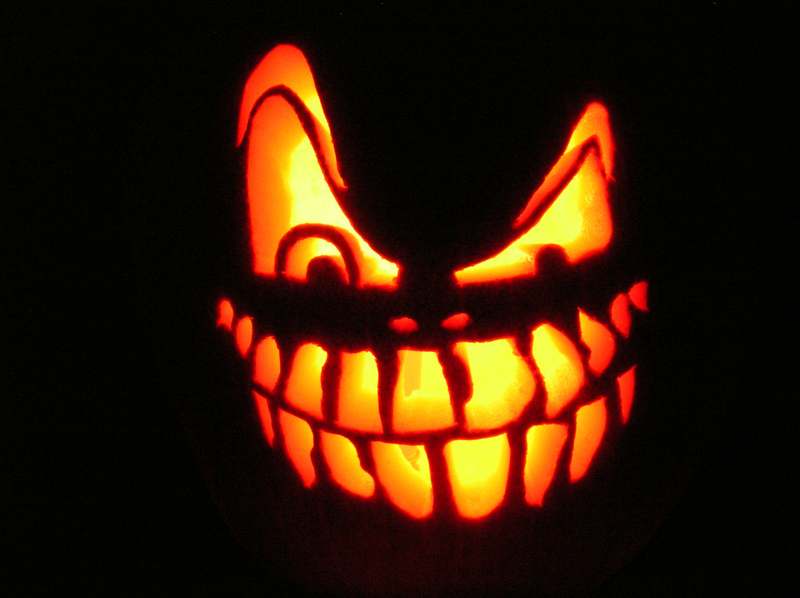 I will make the first post on Halloween, or Wednesday, October 31. ooOOOOOOOoooo *spooky fingers* It pleases me that quite by accident I chose a very fitting story; it’s perfectly ghoulish. "Hold Tight and Pretend It's a Plan."